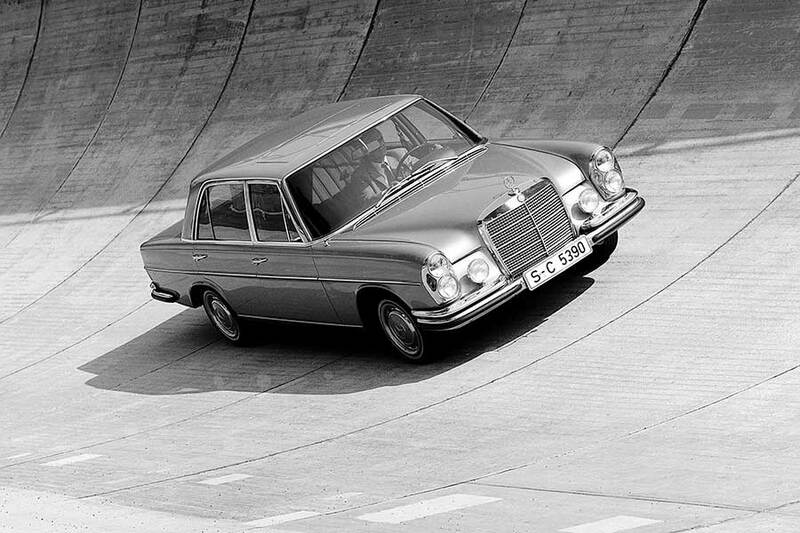 The Mercedes-Benz 300 SEL 6.3 celebrated its premiere at the Geneva Motor Show in March 1968. The press information summarized its attributes: “This model is probably unrivalled in its combination of maximum comfort and extraordinary performance. It meets the wishes of customers who expect above-average power and performance.” The saloon closed the gap between the 300 SEL and the 600 (W 100), from which the V8 engine of the 300 SEL 6.3 was adopted. The new model was claimed to occupy a peak position in the international line-up. “A level of ride comfort that leaves no wish unanswered”. The technical data impressively confirms the sports-car-like performance characteristics of the saloon. Its top speed is 220 km/h. The car accelerates from 0 to 100 km/h in 6.5 seconds, and covers one kilometre from a standing start in 27.1 seconds. “This makes it one of the fastest and most spirited series production cars on the world market. Its particularly quiet and absolutely vibration-free running, the air suspension and the automatic transmission produce a level of ride comfort that leaves no wish unanswered,” the press information continues. Externally the saloon showed hardly any differences from the other models in the W 108/109 series. Only the “6.3” lettering on the right side of the boot lid, twin halogen headlamps with the latest lighting technology and additional front fog lamps distinguished the flagship model, which otherwise remained very discreet. In the interior, a speedometer with a larger scale, a rev counter in the standard version and different positioning of the clock distinguish the “6.3” from the 300 SEL. The air suspension and automatic level control provide an excellent basis for the high-performance model: it automatically adapts itself to changing loads. The spring travel and therefore the vehicle’s attitude remain constant – to the great benefit of ride comfort. Internally ventilated disc brakes all round ensure optimum deceleration. The extensive standard equipment also includes power steering, a smoothly and rapidly shifting four-speed automatic transmission, a locking differential, power windows and pneumatic central locking. 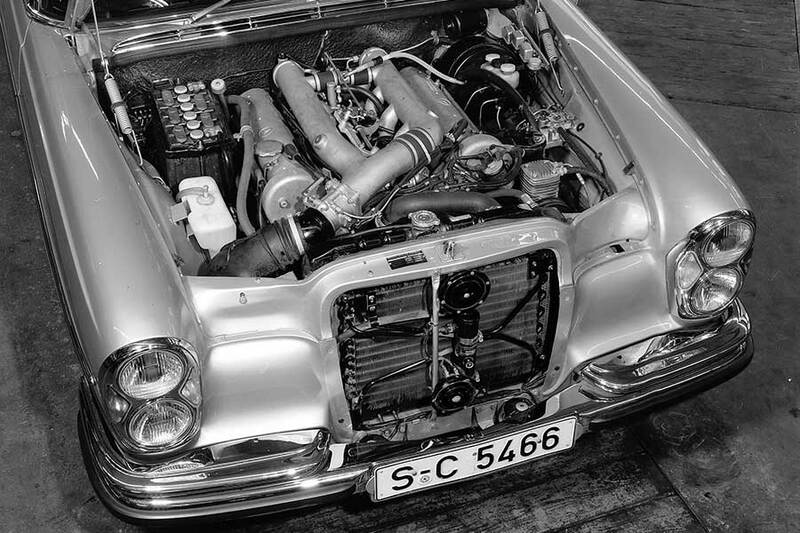 The muscular V8 engine with a displacement of 6,333 cubic centimetres was adopted from the prestigious Mercedes-Benz 600 (W 100) limousine with very slight modifications. It has an eight-plunger injection pump with automatic cold start and warm-up that takes into account the accelerator pedal position, engine speed, air pressure and coolant temperature. Fuel is injected into the intake manifold at high pressure by eight nozzles. This arrangement had proved very successful in all Mercedes-Benz SE models for years, and ensured efficient combustion. The front frame section, transmission tunnel and floor assembly were modified to accommodate the engine in the W 109 series. 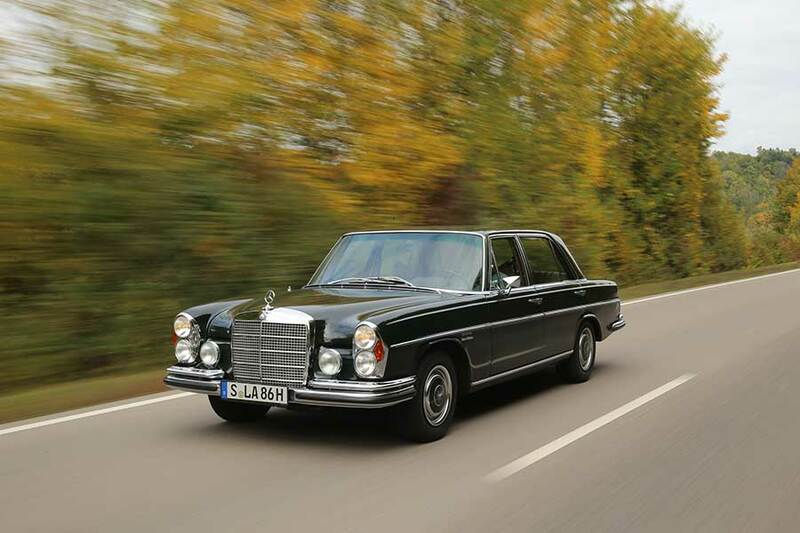 Powerful luxury: the Mercedes-Benz 300 SEL 6.3 in the top W 109 series. No wonder that, with its performance figures at sports car level, it is regarded as the progenitor of the luxurious and comfortable high-performance saloons and as the founder of a successful tradition that continues to this day. A total of 6,526 units were produced up to 1972. This comparatively large volume for the time marked the entry of Mercedes-Benz into the power saloon segment. 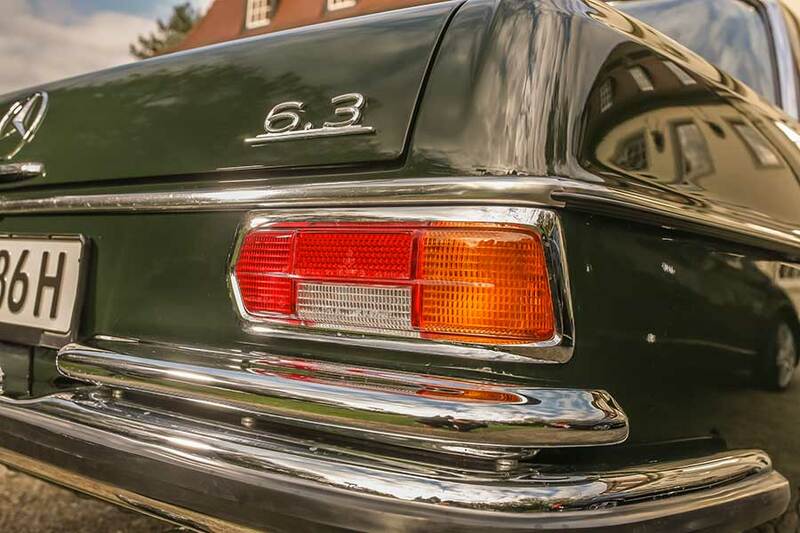 This fascinating model has long since become a classic on the collector’s market: “For many years the 300 SEL 6.3 failed to attract much attention from collectors, but that has changed. 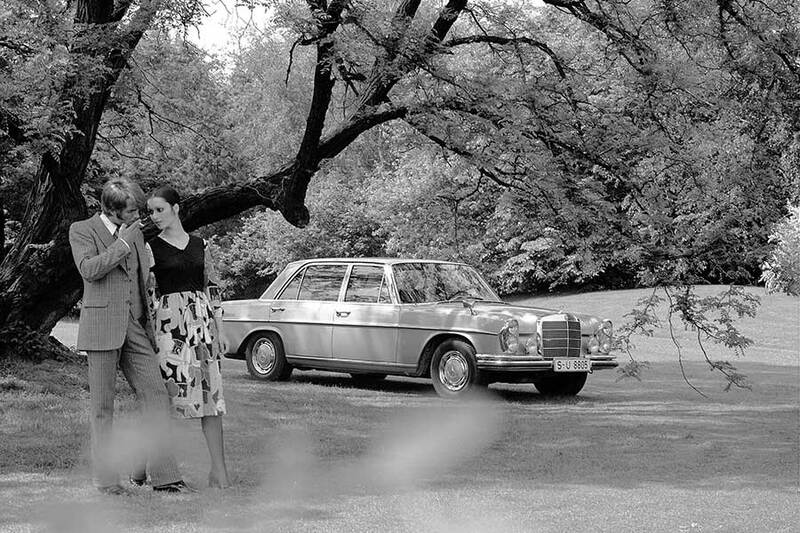 Today it is highly desirable, and the prices for available vehicles have increased substantially,” says Patrik Gottwick, who is responsible for the ALL TIME STARS trading arm of Mercedes-Benz Classic. “A good vehicle in condition 2 costs upwards of 80,000 euros.” Whether that price is high or low is as always in the eye of the beholder. Or driver. Because what the buyer receives is a milestone in automobile history with a powerful eight-cylinder engine – and highly superior performance. All images copyright © 2018 Daimler AG.